Welcome to our network for Ride.'til.We.Rot. "Hey Brother, good to hear from ya... I don't get on hear much. Still ridin', and hope everything is good in your life." Hi I'm Tony I am Co Founder of Ride til we Rot. I am also Sgt at Arms of the Mammoth R.C. a side patch club in Hull. I've been riding bikes since 1968 but didn't get round to passing my test till 1979. Hows this for a bit of Fun!!! a little game called ICE SLIDE! Hey Brother, good to hear from ya... I don't get on hear much. Still ridin', and hope everything is good in your life. "Hello dear,I'm faith by name, this is Important please email me back at (faithndadaye238@yahoo.com) thanks,I will be waiting to hear from you soon."" Thanks for the request Bro. Safe riding to all. Thanks Bro,i like that looks cool. 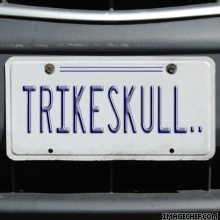 am happy to be part of the family triheskull and thanks for the welcome .